This tutorial will explain how to reset Android on your LG G3 device. 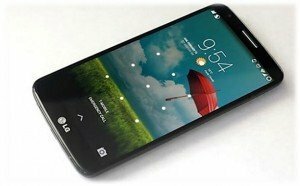 If you’re having problems with Android on your LG G3 cellphone, or you have forgotten your lock pattern, you’ll have to apply a hard reset on your device. We will explain two very effective and, above all, simple methods on how to reset Android on your LG G3. There are two things you have to take into consideration before executing the steps for any of these methods. The first thing you need to remember is, when you do a hard reset of Android, to return your LG G3 to factory settings, all of your personal data on your phone will be deleted. It’s advisable that you do a backup of all your files, before moving on with the tutorial. The second thing is you need to make sure your phone will not run out of power in the middle of the procedure, so check your battery, and charge it if it’s less than 80% charged. To use this method to reset Android you need to be able to use your phone, and access it’s menus and settings. Follow these steps to go through with the hard reset. Select “Reset Phone” and check “Erase all data” if you want a full factory reset. Click “OK” and the process will start automatically. After your LG G3 restarts it will be as out of the box. Hard reset Android on LG G3 using hardware buttons. Press and hold the “Volume Down” button, and without letting go press and hold down the “Power” button. When the LG logo shows up, release both buttons and immediately press them again. When you see the hard reset menu appear on the screen, release both buttons. Move up and down with the “Volume up” and “Volume down” buttons to select “Yes” and press the “Power” button to agree. The reset process will start automatically, and take a few minutes, after which your phone will restart as out of the box. Done! You have now reset Android on your LG G3, using any of the methods explained in this tutorial!